Sure, the number of X-shooters is growing, especially thanks to the X-T line, but we are still a quite contained group of people. What is the reason that kept people from buying into the Fujifilm X-system until now? This question was made 9 months ago by FR-reader syuu here, and today (a tiny bit later) I’d like satisfy his poll request. So I went through your comments here, and summed up what you guys think could be the reasons why Fujifilm didn’t go mainstream until now. 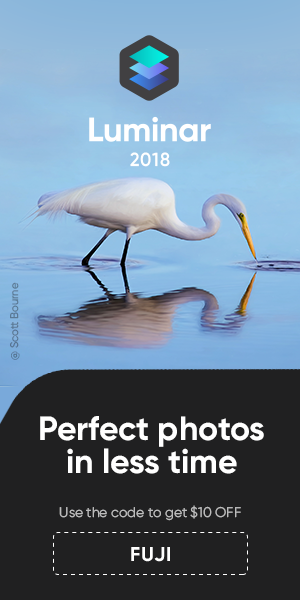 NOTE: A source told me that in Thailand the X-A2 is the best-selling MILC in 2015, “outselling all the Canon interchangeable lens cameras (DSLR and those EOS-M lines) combined“. I’ve split “X-Trans sensor” and “Adobe X-Trans Support“, because some of you actually love what the X-Trans sensor delivers out of the box, but are not happy with the RAW demosaicing of Adobe (but very happy using other software, like Iridient). On the contrary, other people simply do not like X-Trans at all, regardless of Adobe support. I’ve included “AF-performance” and “poor Video“, but this areas seem to be vastly improved with X-TransIII cameras, especially the X-T2. The list includes only suggestions that came from the FR-community after this post. Feel free to add further considerations in the comments. You do not agree with some of the Poll options listed below? Then don’t vote those options and elaborate your thoughts in the comments. It might be a combination of different factors. Just choose the two reasons that, according to you, are the most important. I know, Fujifilm will perceive this blog post as “talking bad” about them. 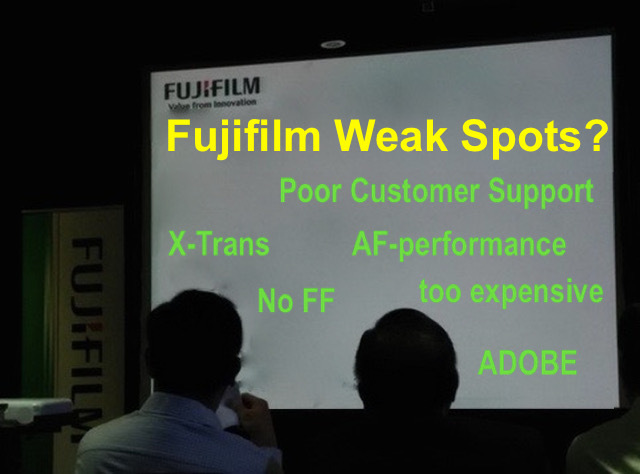 However, the real goal of this survey is not to shitstorm on Fujifilm, but to let them know what, according to thousands of FR-readers, needs to be strengthened (or changed) in order to sell even more cameras. So it’s ment to be positive and constructive feedback. What Happens with Our Polls? Fujifilm is not allowed to interact directly with us, and they also won’t do anything that gives FR more visibility (no sharing, no retweets, no likes on FR posts, even those that talk extremely good about Fuji), but as the largest (and independent) X-series related community on the web, we are the main source of online feedback for them… they just can’t ignore us ;) That’s why they look very closely at polls like this X-T2 or X-Pro2 one, or this X-E3 one and many others. Some of them are even displayed at official Fujifilm Events!